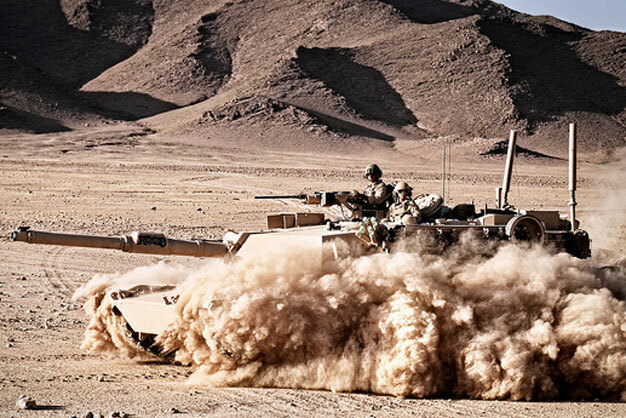 An M1A1 Abrams tank with Alpha Company, 1st Tank Battalion, Regimental Combat Team 6, patrols through the desert north of the Kajaki Dam on May 31. The Marines supported Operation Branding Iron. US Marine Corps photo by Cpl. Mark Stroud.